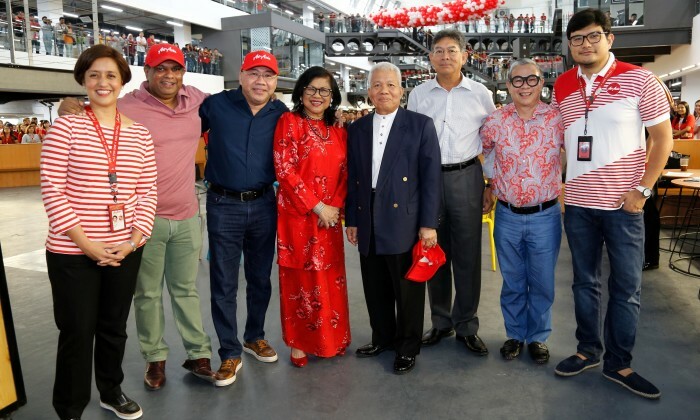 AirAsia and AirAsia X staff have officially moved into its new corporate base called RedQ located beside Kuala Lumpur International Airport 2 (klia2), yesterday. RedQ, which is short for RedQuarters will house up to 2,000 AirAsia Allstars (staff) and encompasses an area of 18,000sqm. The construction for RedQ began in December 2014. 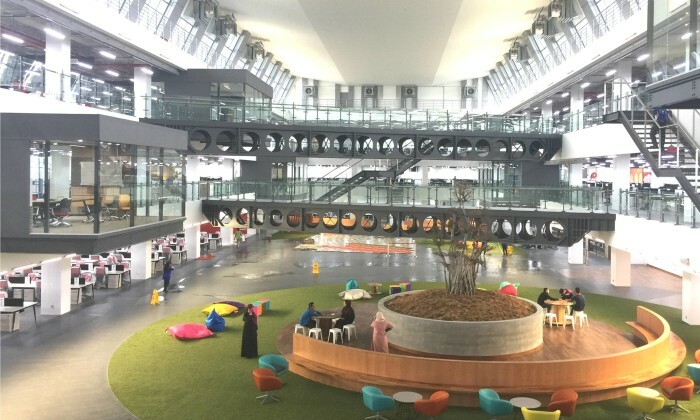 The design of this new corporate office reflects the airline group’s determination in becoming the number one airline in Malaysia and across the region, while incorporating elements showcasing its professional, fun and friendly attitude, said AirAsia in a statement. The AirAsia corporate office was based in Subang airport when it was established back in 2001, and moved to KLIA before LCCT. AirAsia and AirAsia X staff were also included in the process of naming the new corporate office where a total of 1,300 Allstars participated in a contest to name the building. RedQ was selected as the winning entry, which was submitted by an AirAsia X cabin crew, January Ann Baysa from the Philippines. A few days earlier, AirAsia has also reportedly started a low-cost carrier (LCC) hub campaign at klia2, according to an article in News Strait Times. This is part of an effort to brand the terminal as a low cost carrier hub. The campaign is expected to extend regionally to China, India, Indonesia and Thailand. Infographic: What gets folks clicking? Marketing confirmed that Microsoft Philippines is beefing up its senior team with regional talent, starting with Kazuhiro Arai fro.. The agency will be responsible for managing the social media platforms for all brands, from social media content development, medi..
"Time for your job will always be there. Time for your loved ones won’t." .. The brand aims to create even more meaningful offline, in-store experiences that complement its online offerings to better serve s..